Scots in Oman! is our most magnificent programme in a decade. It is a private Scottish Highland Ball with tickets in two categories, luxury and medium. These journeys, as everyone who has been with us knows, are once-in-a-lifetime experiences. We’ve arranged our programme with a core trip to Muscat over a long weekend so people can fly out on Wednesday night and return on Sunday. But if you can manage to extend your time, do it, which is why we’ve created Pre and Post Bolt On Journeys. Experience the majestic stillness of the Jebal Akhdar mountain, follow the frankincense trail and luxuriate in a camp in the Empty Quarter, ride Arabian horses of the Royal Court, or visit the Turtle Sanctuary and spend a night in the desert of Wahiba Sands. For those who would like friends and family living Oman to join them, we are offering a limited number of tickets for Oman residents to the Muscat Desert Ball on 2 November. 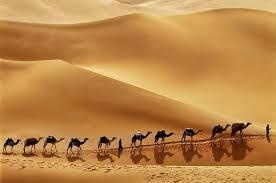 Muscat was traditionally reached by ship via Cape Horn or on camel and horseback. Now, however, we recommend taking one of the non-stop flights on Oman Air or British Airways. Oman Air is generously offering a 15% discount to all Scots in Oman guest traveling to Muscat between 28 October - 9 November 2018. Please contact Dena so that she can give you the link. With the opening of the international airport on 21 March 2018, you can apply for a 30 day tourist E-visa must be applied for online by going to: https://www.evisa.rop.gov.om/. Download a copy of your passport and a visa photograph, pay the 20 OMR (approx £38 or $52) and you’re done. So when you arrive in Muscat all you need to do is collect your bags, stop by duty free to pick up a bottle and prepare for a journey of a lifetime. If you are travelling in luxury category, a car and driver will whisk you in air-conditioned luxury to the luxurious Al Bustan Hotel. For those traveling in the medium category, we can organise airport transfers at £45 per car. Just let us know. Those arriving for the Pre Bolt On Practice Reel at Jebal Akhdar will be met by a driver and 4x4 to drive into the national park for a comfortable 2.5 hour drive to the hotel. Our hotels lie 30-45 minutes south of the airport so you'll be able to see the city of Muscat on your way. Muscat, meaning 'safe anchorage', was developed as a port for merchant ships bound for India, and became Portuguese for two centuries before becoming the capital of the Omani's seafaring empire that controlled much of the coast of Africa. It still is very much a city that faces the sea, but now it has been transformed into a spotlessly clean capital city filled with modern white low-lying buildings in Arabic style. Muscat is a forward-looking, progressive country and its attitude can be felt in its architecture. The glorious building of gleaming white marble is the Muscat Opera House which opened in 2011. An equally impressive building is the National Museum which opened in 2016. But the real pull of Oman is its raw, untouched natural beauty. 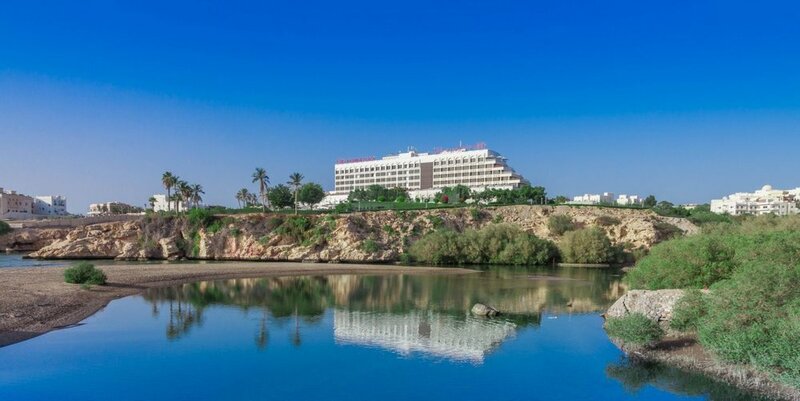 All three hotels are located south of the city along the most beautiful coastline, where rock cliffs overhang the blue waters of the Gulf of Oman. So wind your way through an almost lunar landscape of rock towards the sea and you've arrived in paradise. LUXURY CATEGORY: Al Bustan Palace. Set within acres of gardens between the Al Hajar Mountain range and the Sea of Oman, the Al Bustan has its own beach, glorious restaurants, an infinity pool and the exquisite Six Senses Spa. As you arrive into the Al Bustan's cathedral-like domed atrium lobby (38 meters high) you are greeted with wafts of frankincense meandering toward the ceiling, a cold towel and a champagne “mocktail”. It is a place to sit and absorb the atmosphere, which is good because it will be our main hotel and gathering point for all our events. The breakfast is the best in Muscat. General Manager Katrin Herz will make sure to take care of us all. MEDIUM: The Crowne Plaza has its own private beach, swimming pool, tennis courts, a great view and a terrace restaurant which is popular with local ex-pats. In addition, it is on the Red Bus line so you can take a tour of the city. So kick off your shoes, put on your sunglasses and head out to the beach to enjoy the rest of the day. Relax by the beach, or simply sleep away the jet lag (GMT+4). Take the time to absorb Oman’s relaxed pace of life. This is the only down day in an otherwise packed schedule, so enjoy the warmth of the sun and the refreshing sea and dream of all the reeling to come.